An action figure is a poseable character figurine, made of plastic or other materials, and often based upon characters from a film, comic book, video game, or television program. Probably the best go to online retailer for all things collectible related (or in the realm of what we in this thread collect). Big selling point is their Pile of Loot (POL) system. For up to six months, you can hold your order in warehouse after payment, which saves on overall shipping costs. Can be shipped at any time at the click of a button, and will automatically do so if not shipped within the timeframe. No non-refundable deposits (NRDs) on most items of reasonable cost. They dont really start coming into play until the large $1K+ statues. Will not typically scalp on preorder prices, but once an item is in stock all bets are off. Good sales wont be found here, nor will any sort of coupon code. Fun tip: if youre interested in the stock they have left, just place an item in your cart, put an obscene number in, and it will auto adjust to their stock. Official distributor of Hot Toys for the US. Has a customer points system where they will give back 10% of the cost of the item purchased, which become active 30 days after it ships, for use on items on their site (typically new preorders are excluded). Has a waitlist program for out of stock items as well. Is typically the only retailer who receives the Hot Toys exclusive figures (like the yearly Toy Fair figures) in the US. Typically charges a NRD of 10% the base cost on figures above $250. Sends out a lot of coupon codes and has free shipping on older items usually. Types of items sold: Hot Toys figures, Sideshow 1/6 figures, Sideshow statues, some MonsterArts and Play Arts Kai figures. 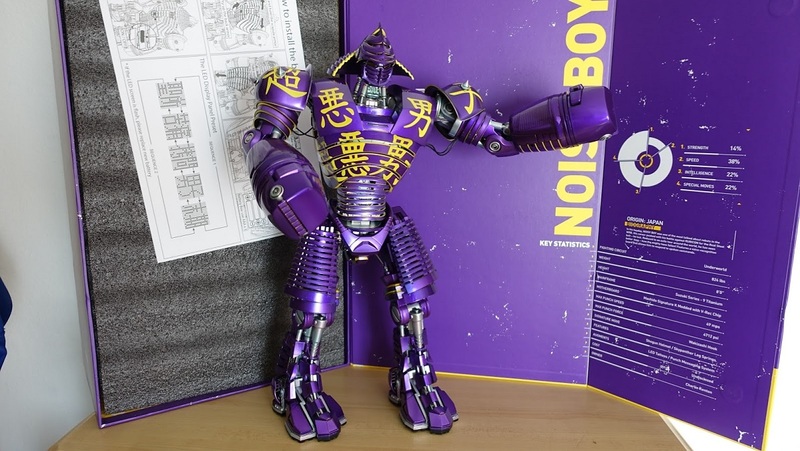 Similar to BigBadToyStore in terms of what is sold, but at higher costs and in a much more confusing website. Great for buying in bulk or finding smaller novelty items. 90 day returns are their major offering over other online retailers in the collecting community. Types of items sold: most main line collectibles (Sideshow/Hot Toys, Hasbro, Mattel, Diamond Select, Enterbay, NECA, DC Collectibles, Play Arts Kai). The biggest retailer of nerd goods in the UK, this retailer carries a lot of your figure needs, though at higher prices. Great variety of figures, but it can be pretty hard to find a certain figure from a line if you're looking in-store. 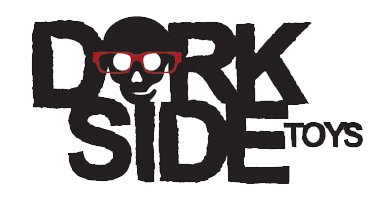 UK based comic book store and online retailer. Main store is located in London, with various other stores across the UK. 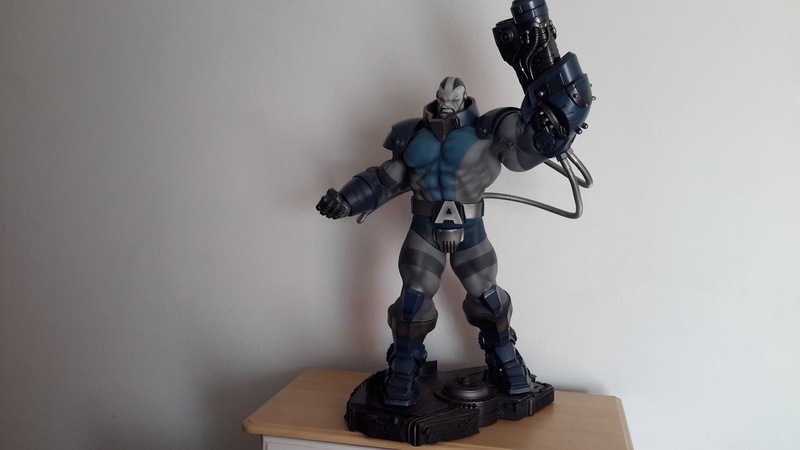 Types of items sold: Hasbro (Marvel Legends/Universe, Star Wars), Hot Toys, Sideshow Collectibles, NECA, DC Collectibles, Play Arts Kai, Mattel, Diamond Select. The other Forbidden Planet. As you can tell by the name, they are quite international and even have a store in New York City. Started out from Scotland and expanded to other countries, this Forbidden Planet carries some things that the other doesn't, such as certain Funko Pop!, and at lower prices. Types of items sold: Hasbro, (No Marvel Legends), Hot Toys, Funko, Sideshow Collectibles, NECA, Diamond Select. Possibly the most interesting place to buy Hot Toys figures currently, as they offer slight discounts and have their own rewards system as well, where 50 points is equal to $1. Unlike Sideshow, they do deal in lower end collectibles, such as DC Collectibles statues or bulk buys of their action figures. Does not typically sell single figures of the lower end variety. Types of items sold: statues of various brands, Hot Toys, Sideshow Collectibles. The new guy. Does not deal in higher end collectibles, but has a large variety of the lower end, including practically all of the Hasbro lines, NECA, DC Collectibles, and Funko. Biggest appeal is to collectors located in California, as there is no sales tax charge, as well as free shipping on select items. Typically good at carrying newer figures and waves, but the main issue becomes fighting scalpers. Out of all the brick and mortar retailers, they have the widest selection brand wise (huge bonus in selling NECA products) but sometimes not worth the effort. Website will have a Pick Up in Store feature on select items, but typically hit and miss. My personal favorite and easily the most recommendable of the big three. Usually has newer stock than Walmart, but what puts them above the rest is their DCPI feature, a code unique to each line of product. Very helpful when looking for newer waves of figures, as you are able to check on the scanner to see if there are any in the back room, or easily ask an employee to check without having to explain to them the item. The only issue that comes from this is that their online stock checker becomes untrustworthy, as it is unable to identify individual items in store. Credit to Haloid1177 for the retailer write up. Images of your collections are welcome. I'm turning this into the official Hot Toys thread Just you watch. Aw yiss! Between this thread, FigureGAF. AmiiboGAF and FunkoGAF, we'll take over GAF with our toys and empty wallets! This will not help you wallet. Must. Stay. Strong. Aw yiss! 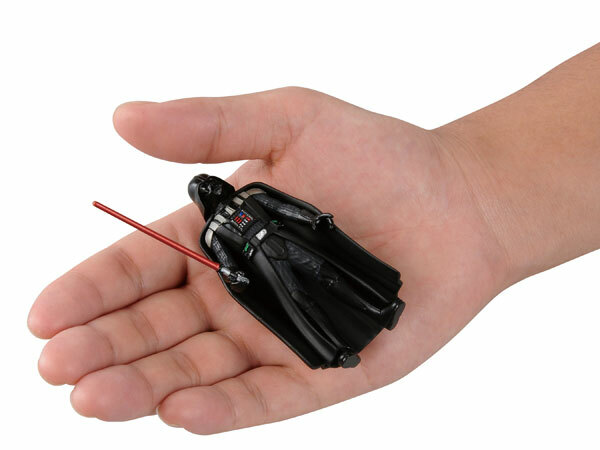 Between this thread, FigureGAF and FunkoGAF, we'll take over GAF with our toys and empty wallets! Don't forget about amiibo GAF. Happy to see this finally come together, will try and post some of my (relatively small) collection once I have them displayed nicely. Nice OT! Just bought the Artfx Cloud City Vader statue myself. About the comment under BBTS and not finding good deals. I got the Princess Bride statues mentioned earlier for 60 when they were 250 everywhere else. Thought it was worth noting. Cheaper at Amazon though =/ lol. BBTS will do their clearance sales, but it's typically for older stock with less appeal. Their lack of coupon codes, free shipping, or much of anything in the way of deals is where my write up came from. I still order all of my stuff there for the most part because of how trustworthy they are and the amount of stock they get, but I stand by what I said. Plus the deals are overshadowed by the obvious scalping they do once an item comes in stock. Anyway, yay I can post some collection pics now! Poseable figures are best figures! Subbed! I typically hang out in FigureGAF but I've recently become interested in collecting a few Sideshow statues. May your wallets curse you until the end of time! I'll just come an post any posable and statue more to do with western franchises that I find on my daily enabling crusade posts to Figure GAF here as well then. so is this the toy thread? Collectibles thread, you surely mean. Wow the Captain American action figure fooled me for a second. Subbed- looking forward to the discussions in here. Turn FigureGAF into StatueGAF and make this the new FigureGAF, easy fix to any possible confusion. I'll need to get a good shot of The Wolverine. But not all (if not most) of the figures are not statues. 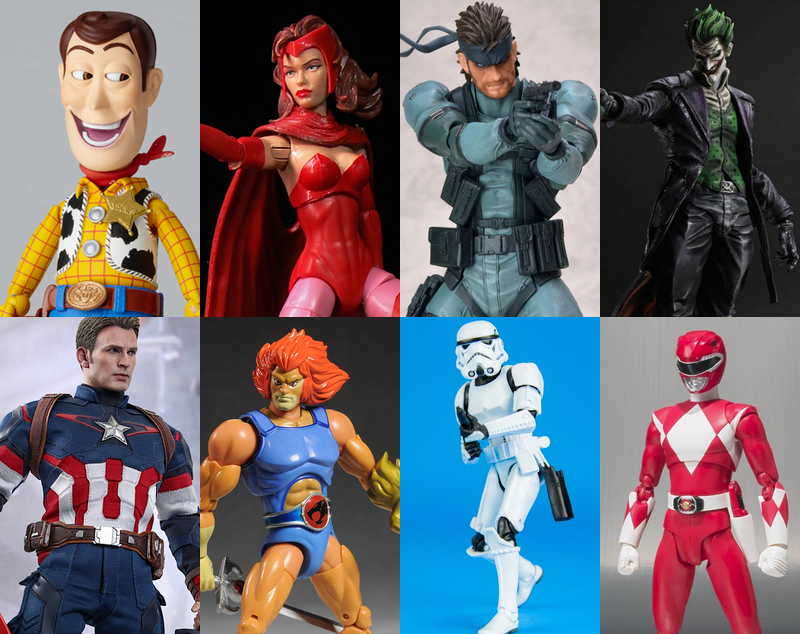 But one two of the most common figure lines on FigureGAF are articulated (Nendoroids and figmas - Revoltech Woody is even in the OP header image, along w/ figma Snake and Play Arts Kai Joker - all discussed, shared, and celebrated in FigureGAF). Everyone's always been welcome in FigureGAF, and we used to have more people posting Hot Toys and such. I don't see why this separate thread was needed. Now I'm sad. You're tearing us apart! But one two of the most common figure lines on FigureGAF are articulated (Nendoroids and figmas - Revoltech Woody is even in the OP header image). You're right! And is that Play Arts Kai Joker? 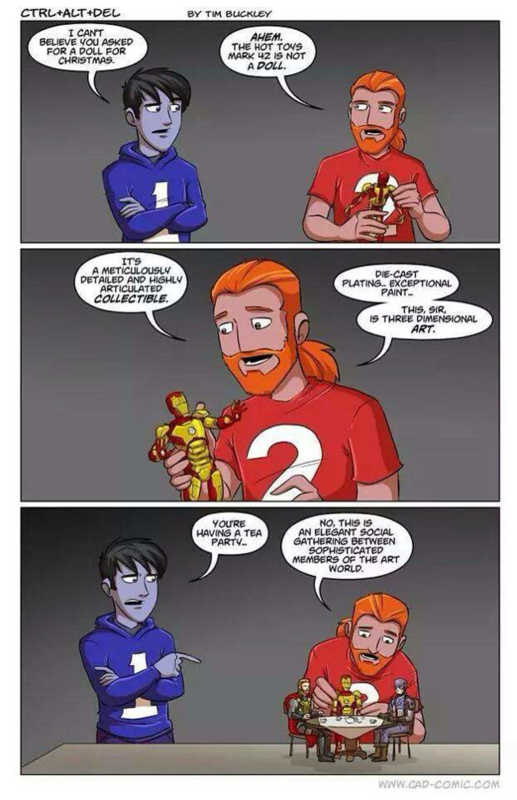 Yep, the Arkham Origins version. But in the end I understand the reason this thread was made, and I'm not at all against it. Just don't go changing the other thread's name. It's true that FigureGAF is an inclusive thread in design, but in reality talk about Hot Toys et al would be drowned out by the natural flow of the thread I think. 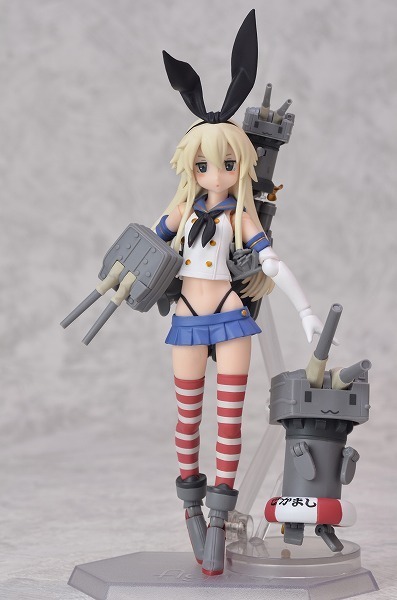 You act as if a) that's all that's in FigureGAF, and b) that they don't make articulated figures of the boat girls too. That hasn't always been the case. There are certainly more...chatty people these days that are into the moe and particular boat figures. Hell, half my posts never get any sort of response anymore I assume b/c I'm not on the boat train (lol!) or whichever thing they're going on about. Nah, let's keep that in the other thread, if we can avoid pointless fights we should do that. Most attempts I've made to talk about Marvel Legends in FigureGAF or any other western-produced figure line has been drowned in anime stuff- I'm still okay with cohabitation, but the natural differing interests can make it pretty hard to get the ball rolling on anything not coming out of Japan. Making sure Thanos is on the first page like a boss. They reminded me of amiibos, only with Star Wars characters. There are 4 of them, the other 2 are C3PO and the Stormtrooper. figureGAF is plagged with lewd comments about satutues of questionable age and their butts, understand that many action figure collectors are weirded out by this behaviour and don't want to post there, heck the few that have dared get their posts instantly buried by moe gifs and nendo talk, the faster FigureGAF understand that's why this thread was created the better, please let us be and return to your anime girl figures and moe gifs thread, you shouldn't be affected by this thread. I heard that other thread was talking smack about hot toys. can't confirm. Pls don't hurt me, I just want to see a civil war between figuregafs. And reminding everyone that there's probably going to be a version with his smug face and the Infinity Gauntlet. Selling out at Targets across the country. Still might be some around if anyone is interested. you can find a few on amazon still but the female figures sell out fast. 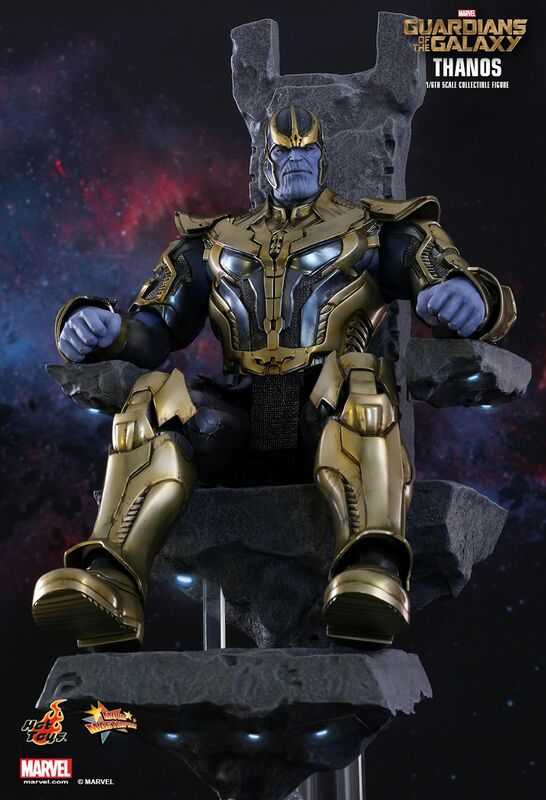 As fantastic as this looks, I can't help but feel like it's kinda premature- if I were going to drop that kind of money on a Thanos, I think I'd wait for one with the Infinity Gauntlet. Since my images were immediately drowned out in FigureGAF (as most of my picture updates are), I finally scored a Banjo figure! I can fight wars on many fronts. Comic-GAF is in peace time. But it is only a matter of time before 3 threads are are war. Comics represent a big part of the Hot Toys range. Embrace the hate. I agree. It looks amazing but you know there will be a better version in a few years. I don't. I think there's plenty of natural crossover, and as I mentioned it used to take place quite frequently. 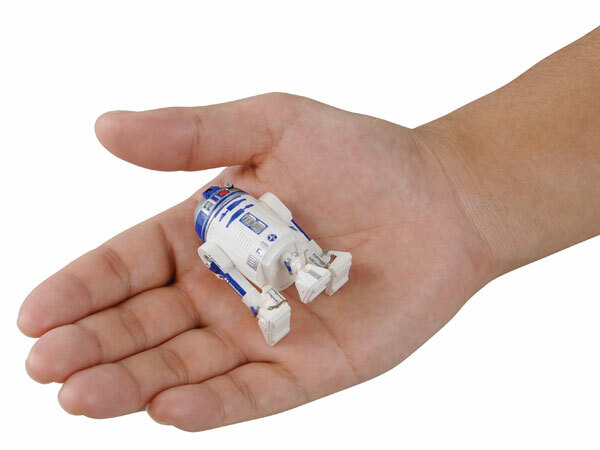 I want us all to hang out in the same thread together and share out enthusiasm for all these over expensive pieces of plastic. This seems like an incredibly artificial division created on the basis of the behavior of a handful of posters - not any actual east vs west sourcing or discussion or joints vs no joints. I also think the broad brush characterizations are unfair. That said - RyosukeTH is right about fighting over it. I don't want to fight about it. Enjoy your new thread and may your wallets be empty. You may see me here from time to time. What is that first figure from?